We loved your submissions for the 2017 Winter Photo Contest– many lovely photos of happy critters, icy plants, and dreamy landscapes came in, but we’ve managed to narrow the dozens we received down to a few winners. 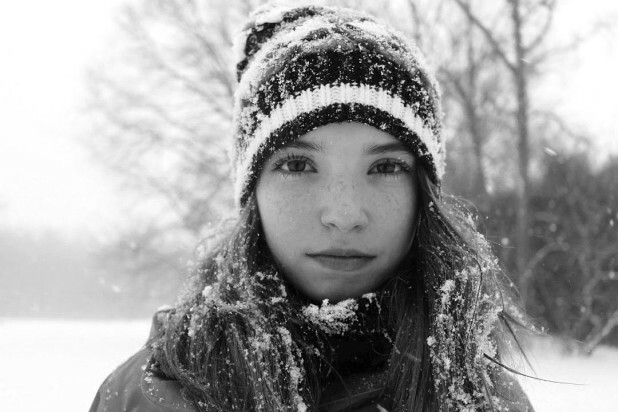 Thank you to everyone who submitted a photo! 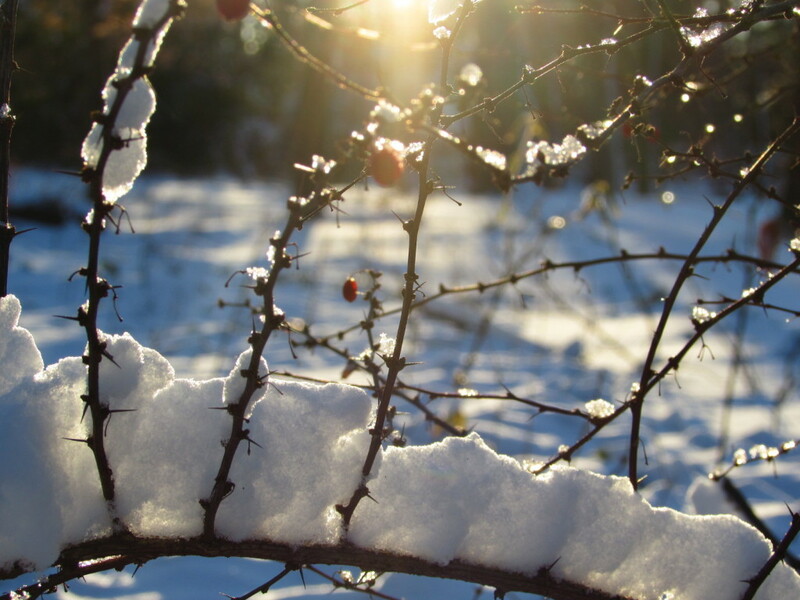 Love the way the splintering light showcases these lively winter thorns. 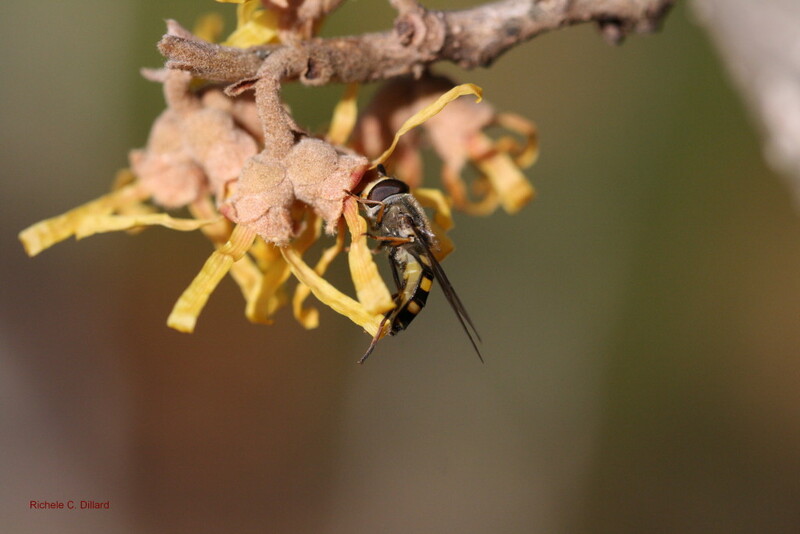 Brilliant macro of this resilient winter pollinator(that’s a Hoverfly!) on witch hazel by Richele Dillard. 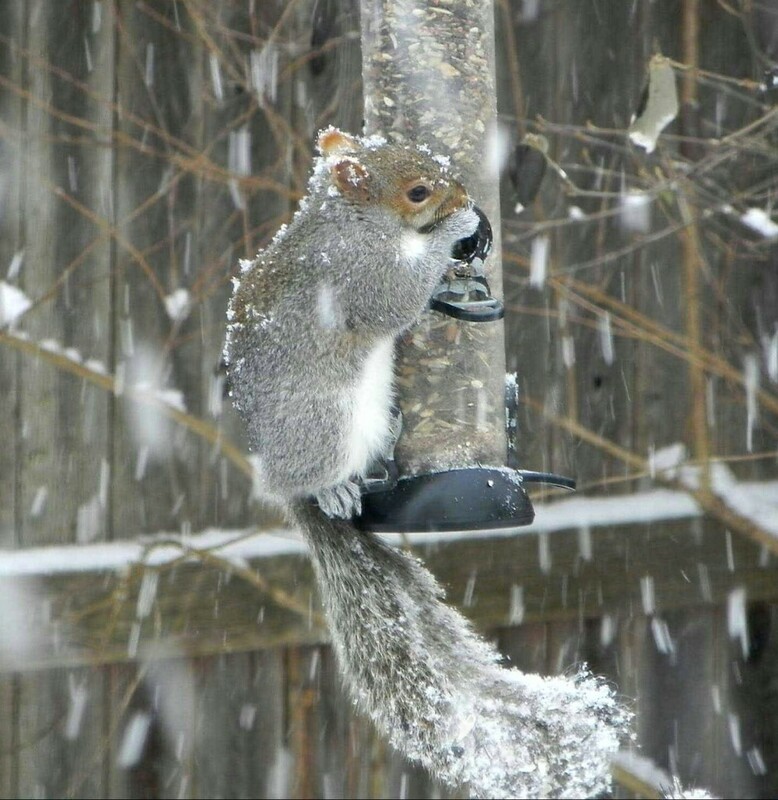 Happy to see this little critter doing what they need to do to survive! 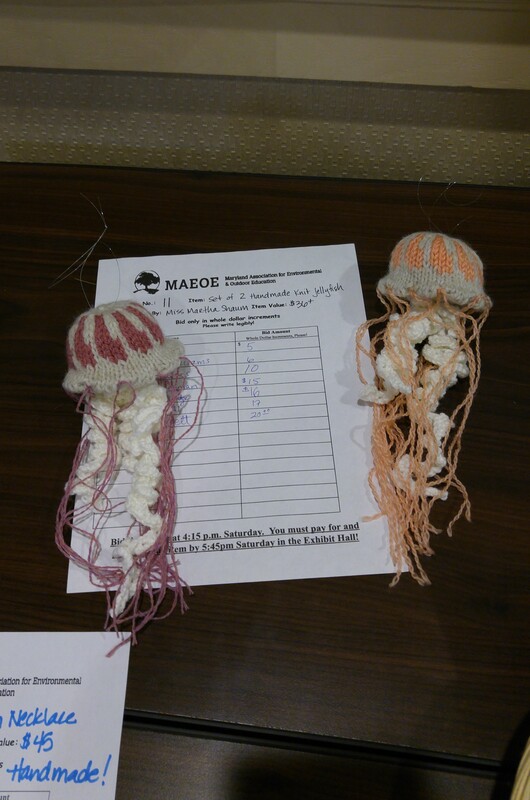 I recently had the opportunity to attend a great conference, the annual gathering of the Maryland Association for Environmental and Outdoor Education (MAEOE), which this year focused on the theme of integrating the arts into environmental education. Editor’s note: The Schuylkill Center produced a wall calendar for 2017 in celebration of the environmental art program. Throughout the year, we’ll run a monthly post on our blog highlighting the art works featured in that month of the calendar. Calendars are still available, now 50% off – only $10 each! What started out as an amateur attempt to forage for mushrooms led to 20 years of exploration, mycology enthusiasm, and art for Philadelphia artist Melissa Maddonni Haims and her husband, Josh Haims. Josh’s curiosity was initially peaked after noticing mushroom foragers during his early morning bike rides along the Wissahickon when visiting Melissa’s parents in Norristown, while Melissa’s curiosity was sparked after inquiring about a morel mushroom dish at a Manhattan restaurant. Their curiosity grew, and Josh presented the idea of foraging to Melissa. Soon, the two were in Fairmount Park stumbling over rocks and deep into the woods in search of fungi. Josh began stopping on his bike rides to photograph the mushrooms, and developed quite a collection of fungi photos over time. 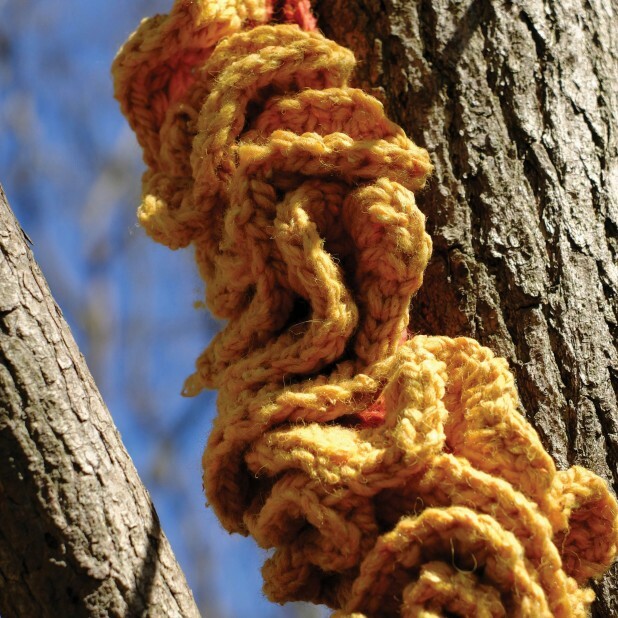 Blending her creative crocheting with an interest in biomimicry, Melissa was inspired to crochet made-to-scale mushrooms mimicking Josh’s photographs, which were then attached to found wood. 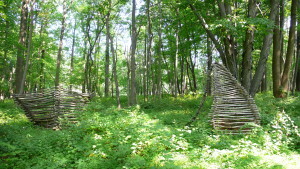 Melissa had previously exhibited at the Schuylkill Center in 2012. 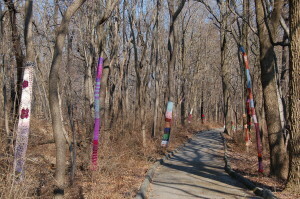 Her work, Cold Comfort, involved crocheted yarn-bombed trees along the Widener Trail and main driveway, enlivening the brown and grey winter landscape. 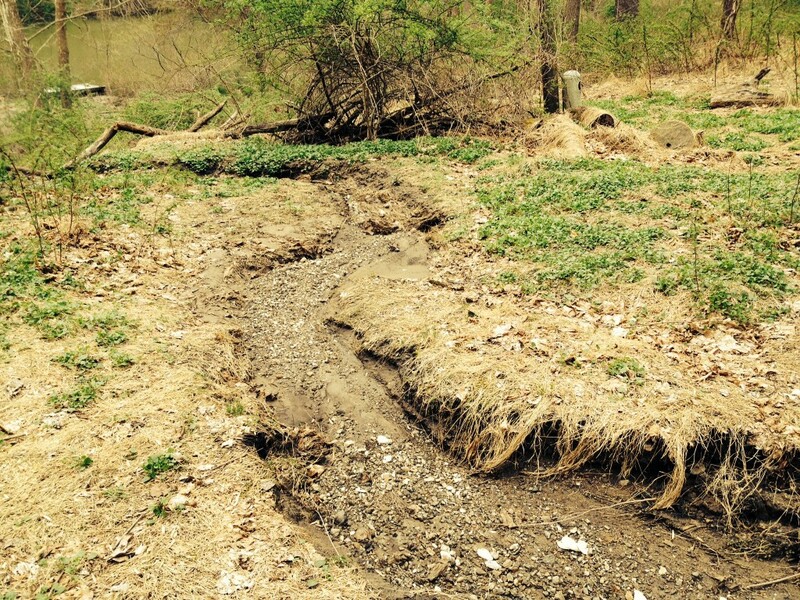 At a visit to the Schuylkill Center in 2015 to discuss a possible biomimicry show, discussions with Director of Environmental Art, Christina Catanese wandered to the morel mushroom and her husband’s collection of mushroom photography, and the concept for The Foragers was born. Melissa and Josh brought fungi life into the Schuylkill Center in the form of crocheted mushrooms and photographs in their joint exhibition in early 2016. Melissa’s crocheted tableaus were given a setting by Josh’s photographs, creating an overall feel of being immersed in a forest. 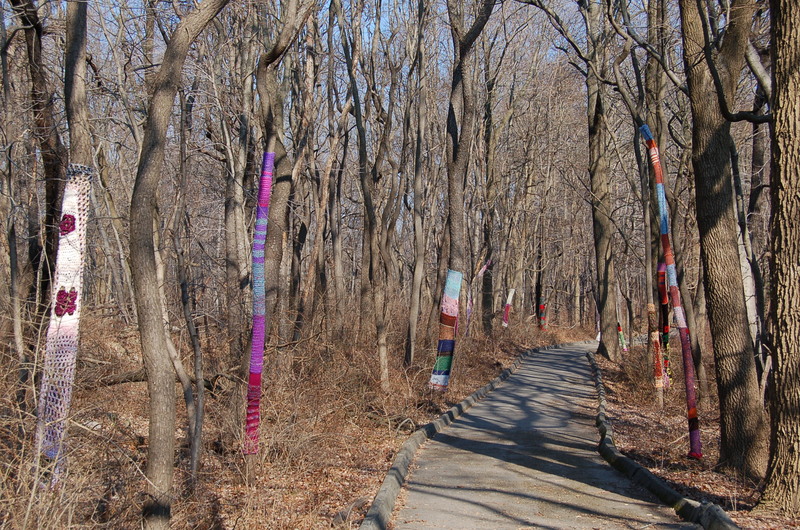 In addition to their work being displayed in the gallery, Melissa tapped back into yarn bombing and expanded her work onto trees along trails at the Schuylkill Center. 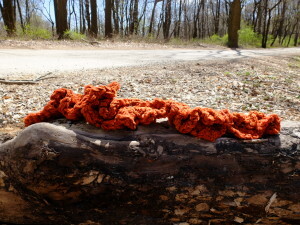 Visitors could discover 9 crocheted mushrooms on their travels, staged as they might be found along the trail and on trees. In addition to the show, Melissa held a mushroom crocheting workshop, inviting participants to explore the creative and earthly processes. A show shedding light and celebrating the forest ecosystem, Melissa explained that, like mushrooms, The Foragers exhibit represented just the fruit of something with roots stretching back 20 years. With the dawn of a new year approaching, it’s as good a time as ever to commit or re-commit yourself to new year resolutions and opportunities for the future. 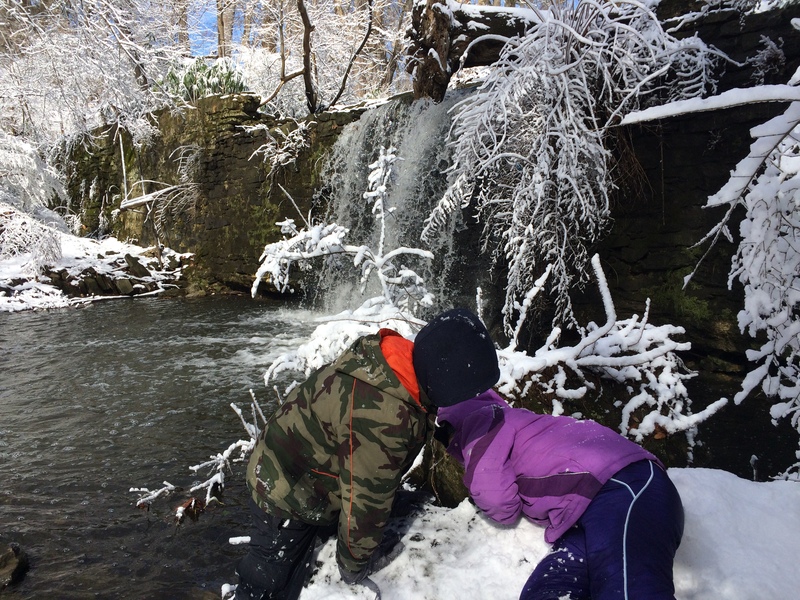 At the Schuylkill Center, we are committed to using our various platforms and resources to help inspire meaningful connections between people and nature—whether that be through our Nature Preschool, here on the blog, in our gallery, or just a simple retweet. As we renew our commitment to the planet and our ecosystem this year, we must necessarily renew our commitment to all of those who help us to keep our doors open and programs running: you! 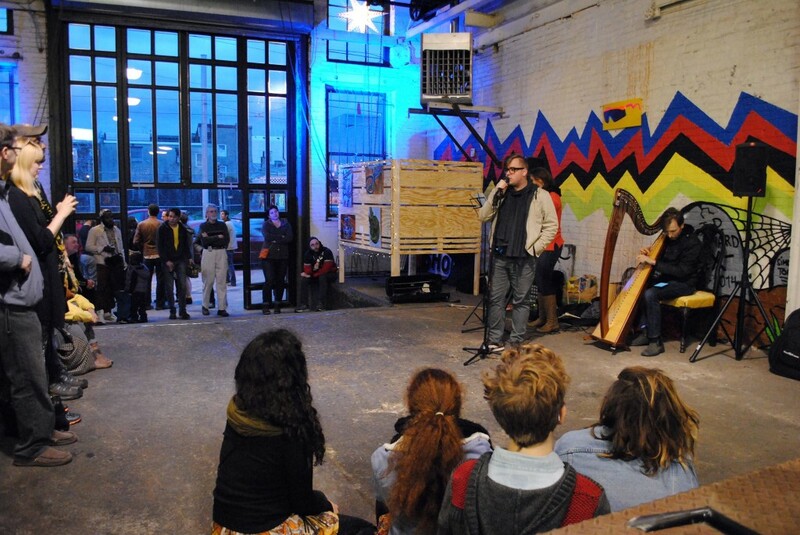 Community, the next gallery show at the Schuylkill Center, will celebrate local artists across different themes and media. 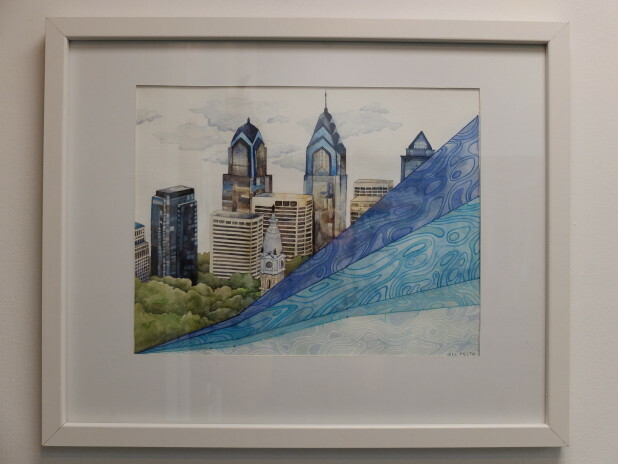 The show will be a non-juried, salon-style exhibit open to members and non-members alike, featuring Schuylkill Center staff members, visitors, volunteers, and friends. Works from every artist who submits will be included—find all the details here and submit your work by December 15. Anna, Manager of Communications & Digital Strategy at the Schuylkill Center, is looking forward to seeing a snapshot of our community as a whole, “This show is all about creating in community; from all these different crowd-sourced works, something beautiful comes together, something that paints a portrait of who we are.” With only a week left to submit work, we are already so excited about the wide range of submissions we’ve received over the last month. Last year, volunteers logged over 14,000 hours at the Schuylkill Center, most of them spent keeping our wildlife clinic up and running. 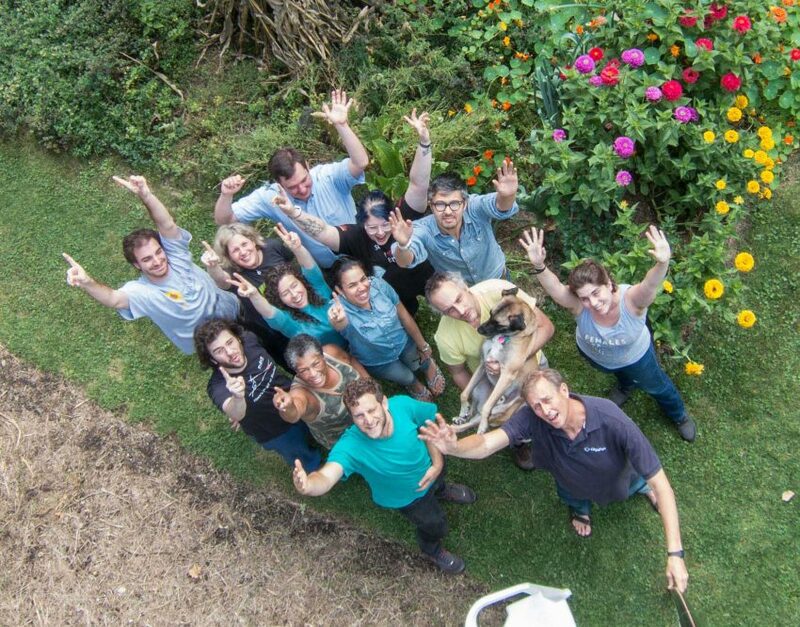 Volunteers do everything from watching our front desk during staff meetings, preparing and throwing our many seasonal events, and saving the toads every spring during our ever-growing Toad Detour, among other various duties. We are lucky to have such an involved group of community members, and look forward to being able to showcase some of our friends’ and neighbors’ work on our gallery walls. “This gallery show excites me more than most others because of one thing: perspective.” Elisa, coordinator of our NaturePHL program (more on that in the spring), and longtime former volunteer, is excited to witness the multitude of ways our friends and neighbors see and experience life in our upcoming show. 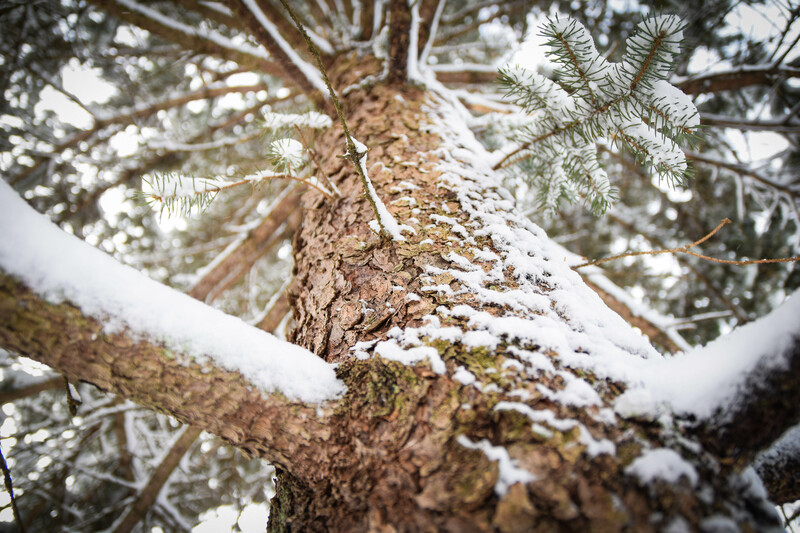 “Giving people space to share their perspective on art, nature, and the Schuylkill Center in any and all ways is phenomenal.” In an aesthetic sense, Elisa’s photographs capture intricate as well as expansive and dynamic elements of the native wildlife in and around the Schuylkill Center. She is interested in seeing the other artistic perspectives by which people find a way to connect back to the natural world. Cassandra Petruchyk,a volunteer at the wildlife clinic, has memorialized Zelda, the Clinic’s beloved and longtime turkey friend, in a portrait for the show. We’ve received some beautiful botanical depictions of the growth and maturation of local flora, photography of local landscapes and animals, and more. Not all work will revolve around what we traditionally refer to as “nature.” We’ll encounter themes of memory, time, and all sorts of explorations into the realm of human experience, from poetic engravings to modern dance. Help us ring in the new year as we renew our commitment to the land and open our doors to art from our local community. Whether or not you plan to submit to the show, thank you for all your support, as we could not do what we do without you. Community will be accepting submissions until December 15th. There is no submission fee and all artists who submit will be shown in the gallery. The show will open with a reception January 26th at 6pm. 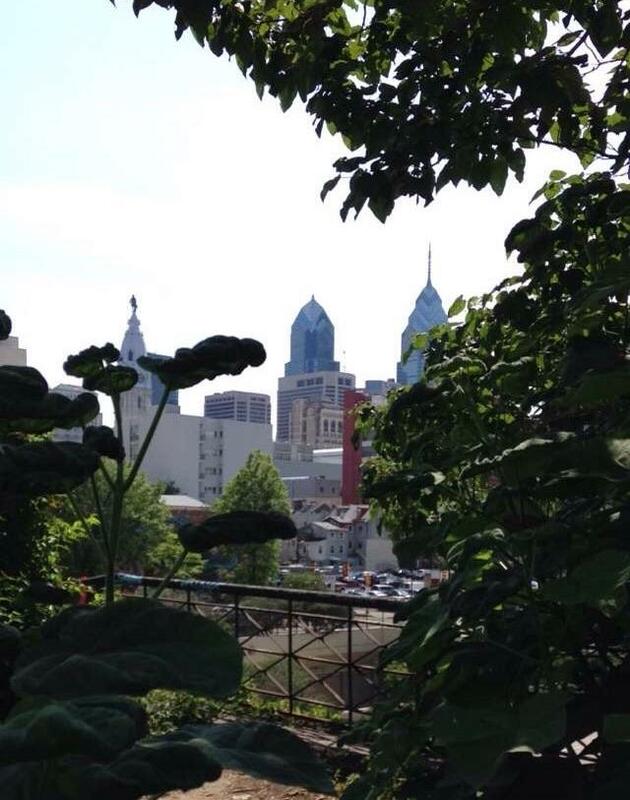 What does climate change mean for Philadelphia? 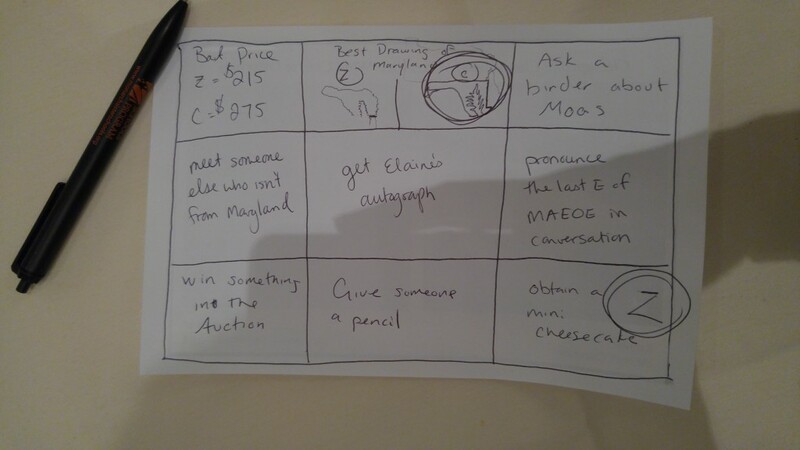 As a large, complex, global process, it’s not an easy concept to wrap our minds around. As you might expect, climate models project pretty clearly that Philly will face a future that is hotter and wetter. According to CUSP – the Climate & Urban Systems Partnership , scientists predict that in our region we could experience as many as three additional weeks of days over 90° by the 2020s. All that heat not only is unpleasant, but can also lead to serious health risks. CUSP also found that the Northeastern US has been experiencing more frequent extreme precipitation events than any other region in the country. Not only will we get more total rain, projections say that climate change will cause heavy downpours to become even more common and intense. Philly’s tidal rivers are also impacted by projections of sea level rise, and the combination of more rain and rising sea levels is concerning for low-lying homes and infrastructure, like the airport. One of the most important aspects of environmental art is leaving time for nature to respond to an art work. Change is a constant in the natural world, and when artists venture outside the controlled setting of the studio or gallery, art must be responsive to change, time, and seasons. Indeed, many environmental art works are not complete until nature has had time to respond and artists have had time to understand and reconcile change in the work. Stacy Levy’s Rain Yard needs rain to fall for the collaboration with water to happen; Jake Beckman’s Future Non-Object #1: Sol’s Reprise needs fungus and other soil organisms to grow, and the piece won’t truly be complete until it becomes soil, many years from now. 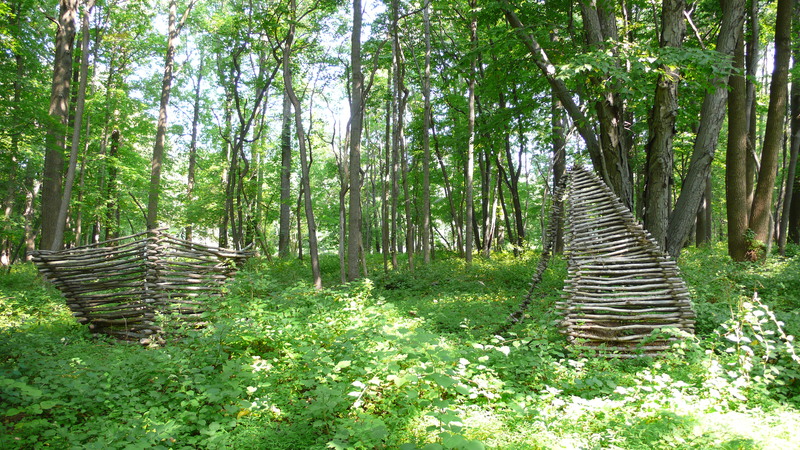 Many environmental art works are invitations to nature, which nature will respond to in its own time. WE THE WEEDS, for instance, installed their woven tapestry of invasive vines in a vine-filled meadow, hoping that the living vines would contribute to the artwork by growing and weaving themselves onto and into the work, that the vines heartily accepted this invitation. Environmental art can itself even become a calendar of sorts, revealing the change in seasons and cycles. I know spring has sprung when the columbine sprouts in our Native Pollinator Garden, and that fall has arrived when the asters bloom in Welcome Home. 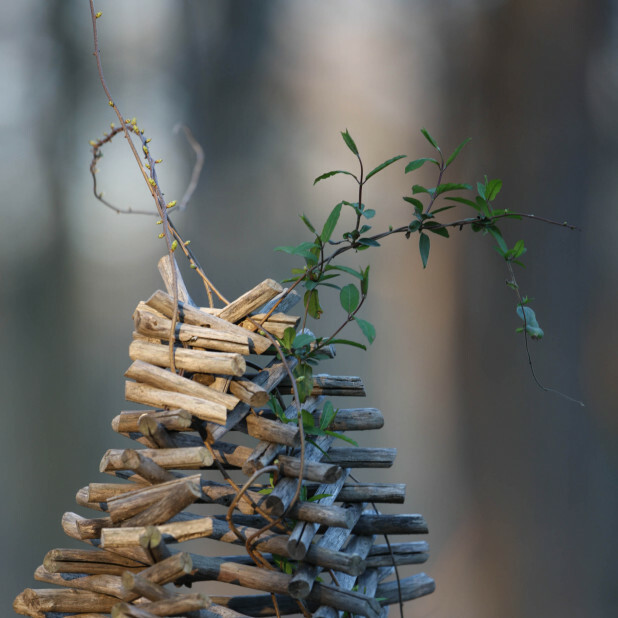 We present environmental art on various timescales – some is temporary, disappearing from our forests after a just few weeks’ time, while other works are with us indefinitely. So, this year we decided to put together a 2017 wall calendar, celebrating cutting edge, contemporary environmental art in our fields and forests. 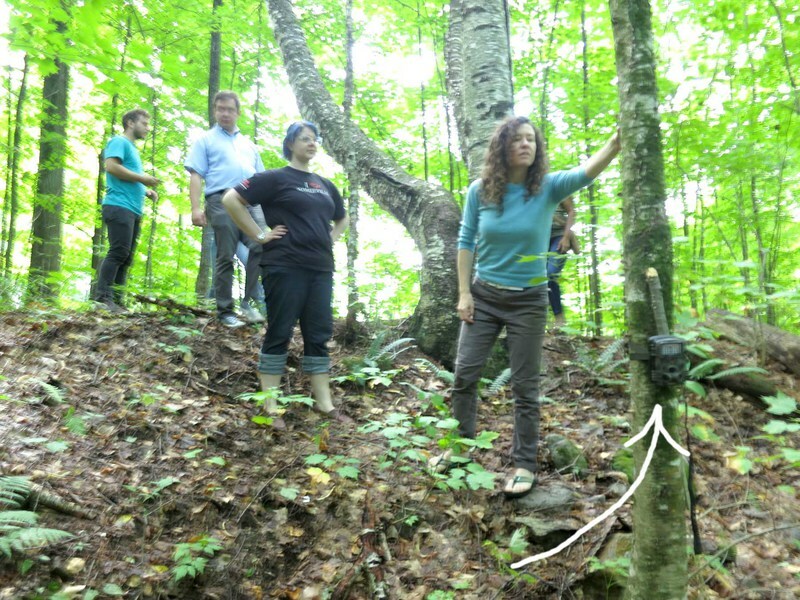 Founded in 2000 as an opportunity for artists and audiences to explore and interpret the natural world and current ecological issues, our program has brought 277 artists to our site. This calendar highlights works here from across 17 years; three of the works are still with us today, continuing to evolve with our site and with time. We hope this calendar is more than a time marking tool, but something that activates your imagination throughout this year, perhaps inspiring you to notice time and change in your own environment. So, take a look, support our art program, and order your 2017 calendar today! 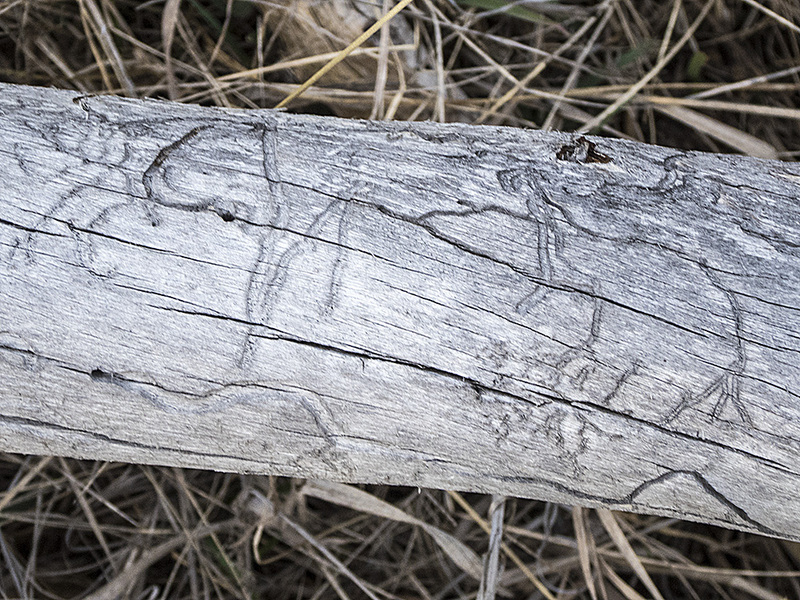 I’ve been trying to remember what led me to photograph the engraved tracks of bark beetles. I believe that really it was just curiosity about looking for lines and patterns in nature which first drew my attention to the etched pathways of the beetle larvae. Once I became aware of them, they seemed to be everywhere in the woods. In an effort to understand what I was looking at, I did some research, and found out that the beetles’ increased range and activity was due to warming. Since climate change seemed to come on us slowly at first, it was easy for many people to not notice. 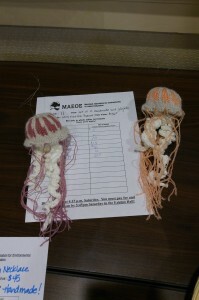 We may ask ourselves, what was the first thing that we personally noticed that could be attributed to climate change? Not a prediction from scientists, but something we personally saw or experienced. Not a cause, but a result. For me, the beetle tracks were like this. 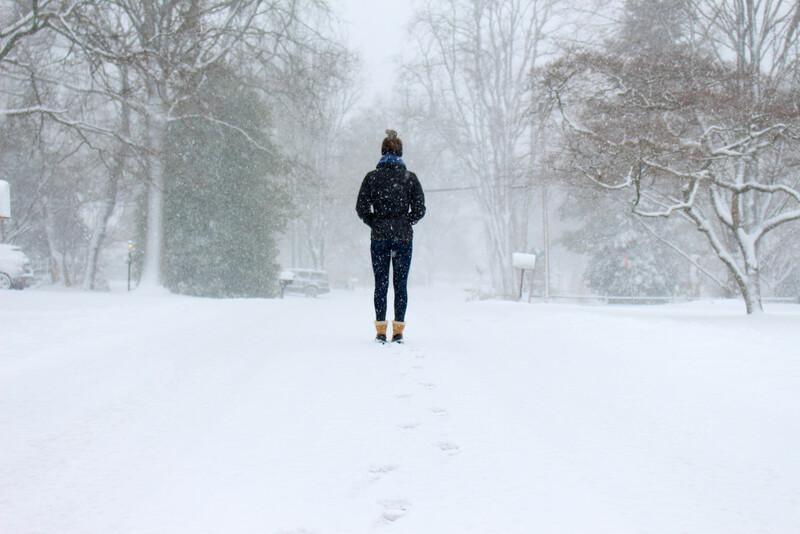 Of course, we all experience unusual weather, but since, like many people, I’m not living in the place where I grew up, I don’t have a feel for what is really normal for the area. Having someone tell you that last summer was the hottest ever doesn’t mean much if you don’t have memories to compare it to. Seeing something concrete right in front of you is different. Part of what artists do is to call attention to things that have been overlooked, and do so in a way that causes people to start noticing on their own. We hear many debates in which the opinions of experts are hurled back and forth, but in order for change to happen, people need to be convinced through their personal experience. So I would like to encourage people looking at my work to notice small things they see around them and investigate how they relate to the larger world. 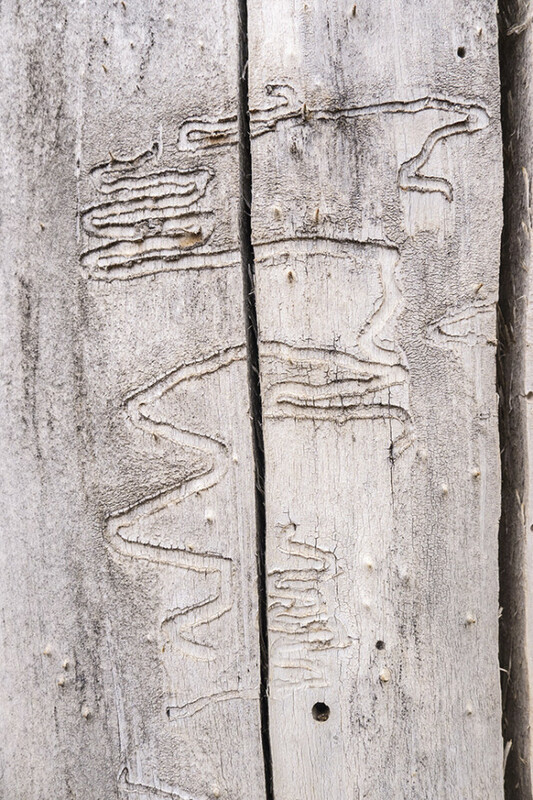 I see the beetle tracks as calligraphic characters from an unknown language, hence the title Glyphs. Of course, they don’t have individual, specific meanings, like, say, a Chinese character might have. They are meant to suggest the idea that if we notice our surroundings – our environment – it will speak to us and tell us important things. In this case, the message is the awareness that climate change is causing a different relationship between these insects and the forest, to the detriment of the trees. Here are both the original picture of a tree trunk and the finished artwork for one of my works in the exhibit. 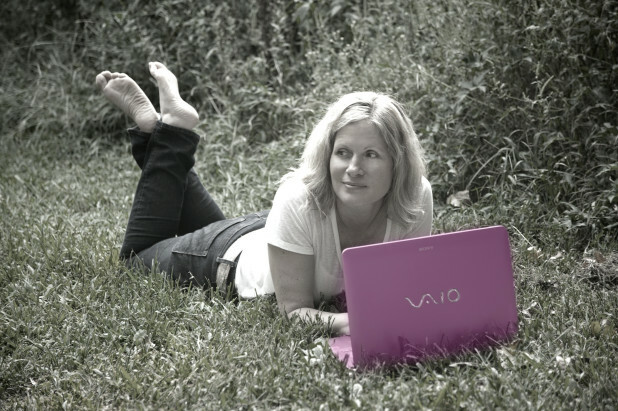 Like a scientist exploring ancient inscriptions, I trace the patterns, first manually, then digitally. The resulting outlines are printed on very thin tissue. Then, just as the beetle larva takes many small bites, I use a paper drill to create a repetitive lace pattern of holes surrounding the outlines. Finally, metallic mica powder is applied inside the outlines, adhered with gilding sizing. Jim Frazer was, in 1981, the first photographer to have a solo exhibit at Atlanta’s High Museum of Art, and his hand-colored photographs of Southern landscapes were widely collected and exhibited both regionally and nationally. 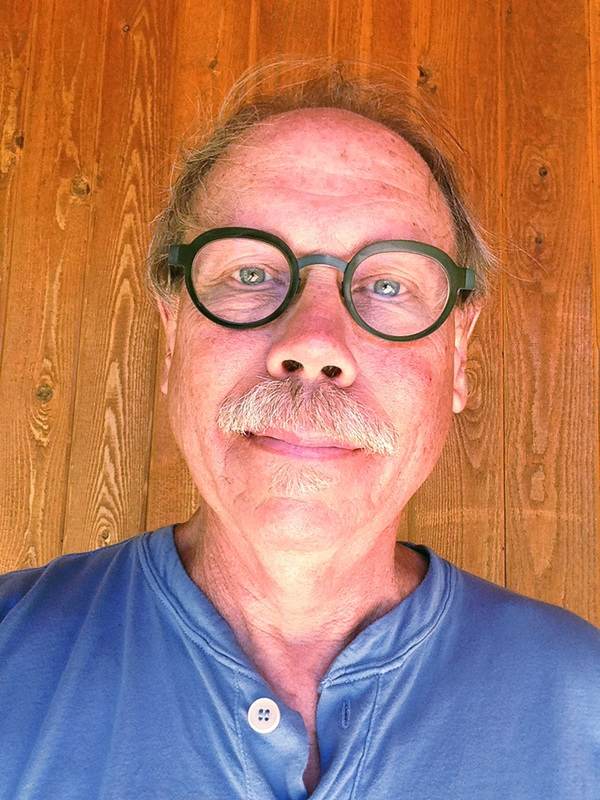 In 1999, he moved with his family to Salt Lake City and branched out from photography to a diverse practice that focused on mixed media works and collaborative installations. His newest work, though not appearing photographic at first glance, is nevertheless photo based, deriving from images of details taken from the natural world.